Hi everybody!! I've got a beautiful set of vinyl yarns yesterday from @Jellyyarns. I couldn't resist so I had to try them out, Halloween is coming...it's the perfect excuse to get started! 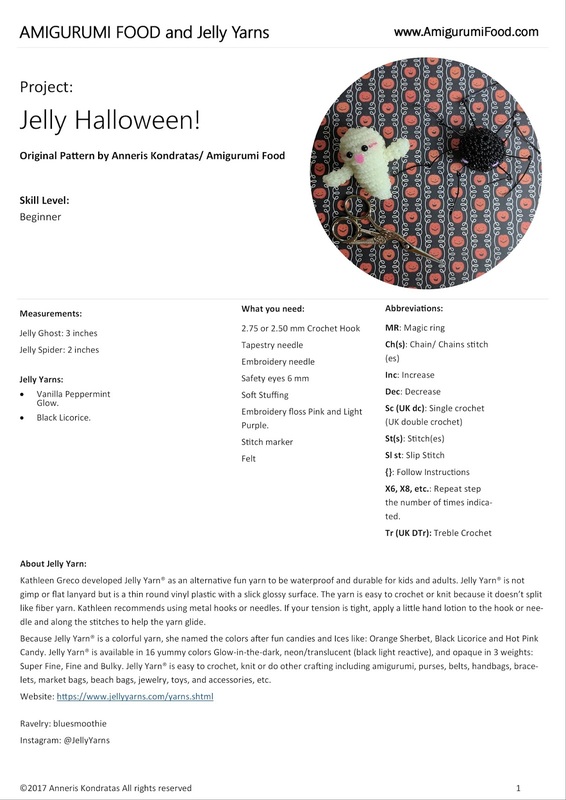 "I developed Jelly Yarn® as an alternative fun yarn to be waterproof and durable for kids and adults. 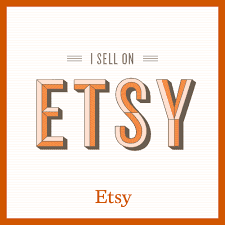 Jelly Yarn® is not gimp or flat lanyard but is a thin round vinyl plastic with a slick glossy surface. 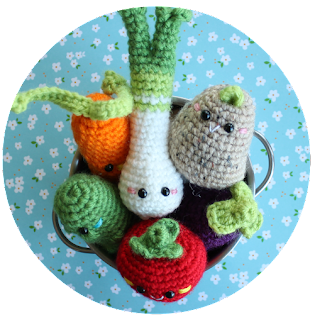 The yarn is easy to crochet or knit because it doesn’t split like fiber yarn. I recommend using metal hooks or needles. If your tension is tight, apply a little hand lotion to the hook or needle and along the stitches to help the yarn glide. 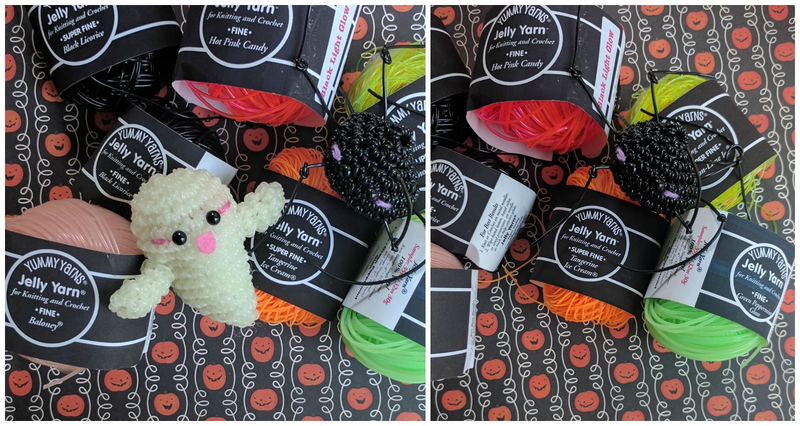 Because Jelly Yarn® is a colorful yarn, I named the colors after fun candies and Ices like: Orange Sherbet, Black Licorice and Hot Pink Candy. 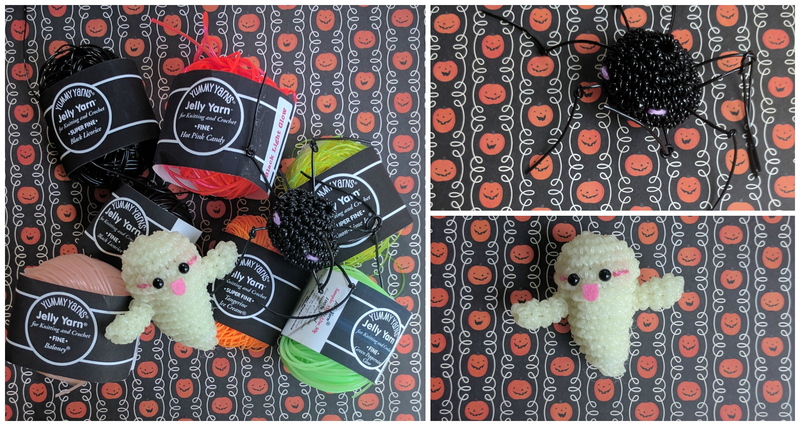 Jelly Yarn® is available in 16 yummy colors Glow-in-the-dark, neon/translucent (black light reactive), and opaque in 3 weights: Super Fine, Fine and Bulky. 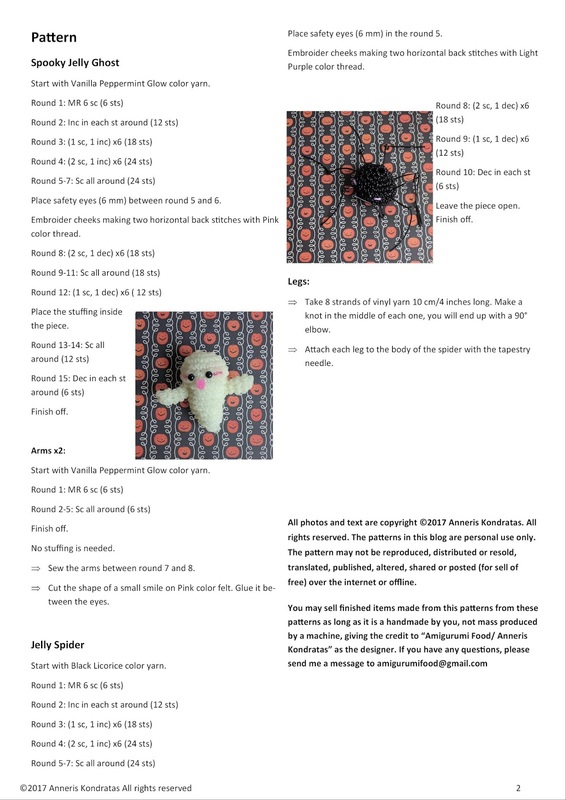 Jelly Yarn® is easy to crochet, knit or do other crafting including amigurumi, purses, belts, handbags, bracelets, market bags, beach bags, jewelry, toys, and accessories, etc. " Kathleen Greco. 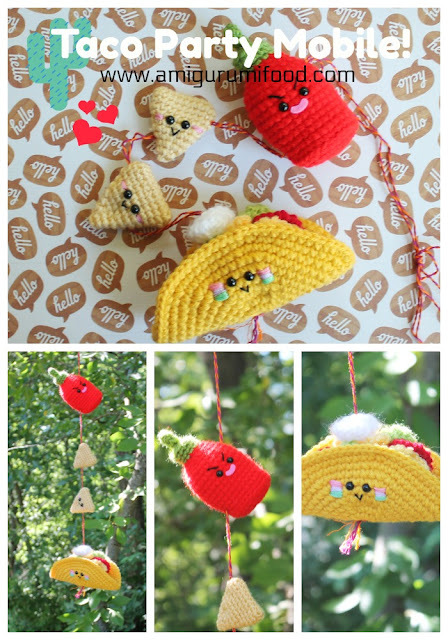 I'm excited to share with you this Collaboration pattern with Jelly Yarns.